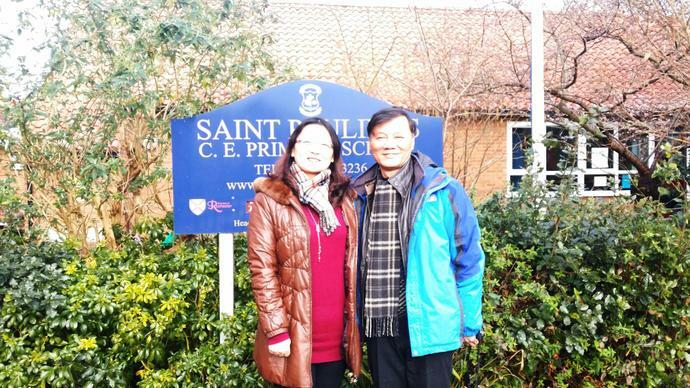 We welcomed 2 Chinese Visitors to St Paulinus this week - Mr Niko and Mrs Jean from Zhongshan School in Shanghai. They joined us during our Candlemas Service in school and visited the classrooms. Thank you to Maddie and Charlotte (Year 5) who volunteered to show them around - they told me that you were extremely informative and asked them some really interesting questions. They gave us some lovely gifts (bookmarks that the children in their school had designed to share with the children at St Paulinus and pens for the teachers). This is hopefully another exciting step in planning our link so that it develops further and the children can begin to communicate and learn from each other about lives in their countries. Don't forget it is our Chinese New Year meal in school on Tuesday 24th February so if you haven't booked a meal please do. Children will be able to try some Chinese food and have a go at using chop sticks to eat with.